Born in Austria on May 6, 1856, Sigmund Freud theorized and practiced neuropsychology, studying first hysteria and then sexuality. A highly controversial intellectual figure of the 20th century, he studied dreams, defined what he called the Oedipus complex and laid out three stages of infantile sexual development. He remains one of the most influential figures in today's world. 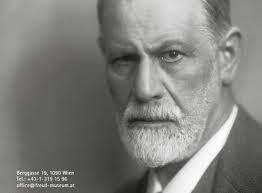 Sigmund Freud was born in the Austrian town of Freiberg on May 6, 1856. When he was four years old his family moved to Vienna, the town where he would live and work for most of the remainder of his life. He received his medical degree in 1881 and became engaged to marry the following year. His marriage produced six children—the youngest of whom, Anna, was to herself become a distinguished psychoanalyst. After graduation, Freud promptly set up a private practice and began treating various psychological disorders. Considering himself first and foremost a scientist, rather than a doctor, he endeavored to understand the journey of human knowledge and experience. Early in his career, Freud became greatly influenced by the work of his friend and Viennese colleague, Josef Breuer, who had discovered that when he encouraged a hysterical patient to talk uninhibitedly about the earliest occurrences of the symptoms, the symptoms sometimes gradually abated. Inspired by Breuer, Freud posited that neuroses had their origins in deeply traumatic experiences that had occurred in the patient's past. He believed that the original occurrences had been forgotten and hidden from consciousness. His treatment was to empower his patients to recall the experience and bring it to consciousness, and in doing so, confront it both intellectually and emotionally. He believed one could then discharge it and rid oneself of the neurotic symptoms. Freud and Breuer published their theories and findings in Studies in Hysteria (1895). After much work together, Breuer ended the relationship, feeling that Freud placed too much emphasis on the sexual origins of a patient's neuroses and was completely unwilling to consider other viewpoints. Freud continued to refine his own argument and in 1900, after a serious period of self-analysis, published The Interpretation of Dreams. He followed it in 1901 with The Psychopathology of Everyday Life and in 1905 with Three Essays on the Theory of Sexuality. The great reverence that was later given to Freud's theories was not in evidence for some years. Most of his contemporaries felt, like Breuer, that his emphasis on sexuality was either scandalous or overplayed. In 1909, he was invited to give a series of lectures in the United States. It was after these visits and the publication of his 1916 book, Five Lectures on Psycho-Analysis, that his fame grew exponentially. Freud's many theories—including those about "psychic energy," the Oedipus complex and the importance of dreams—were no doubt influenced by other scientific discoveries of his day. Charles Darwin's understanding of humankind as a progressive element of the animal kingdom certainly informed Freud's investigation of human behavior. Additionally, the formulation of a new principle by Helmholtz, stating that energy in any given physical system is always constant, informed Freud's scientific inquiries into the human mind. Freud's work has been both rapturously praised and hotly critiqued, but no one has influenced the science of psychology as intensely as Sigmund Freud. After a life of constant inquiry, he died of cancer while exiled in England in 1939.